So your wedding is just around the corner. You’ve had your treatments; your skin is in tip top shape and you’ve got your glow on. You just have to survive that final week until the wedding without any skin tragedies and you will be golden. SkinScience is here to help! Our 5 Bridal Must haves will preserve the skin you’ve worked hard to get! 1. Be diligent with your SPF! With the season changes it’s easy to forget that sunburns can happen very quickly. With garden parties, patios and family bbq’s in the week before, it’s easy to forget an application and end up a little barbequed looking yourself. 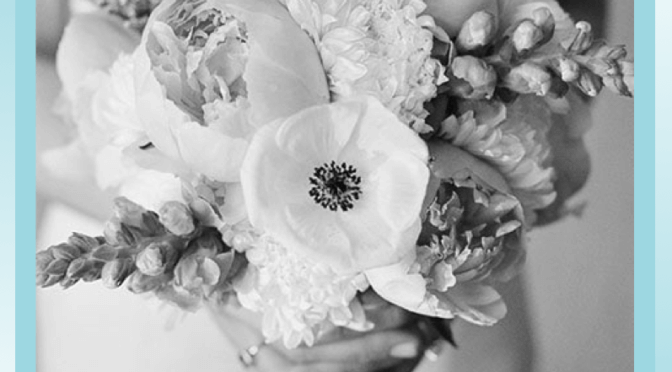 Our #1 recommendation for brides? >>> ColoreScience SunForgettable Powder Sunscreen. It applies delightfully easily over makeup, (so your makeup won’t get mussed) it is easy to throw in a handbag or pocket, and its powder formulation means no spills and no mirror needed when you apply it. 2. De-puff and soothe your eyes to look rested on your big day! The week leading up to the wedding will likely have a little less sleep, a little more alcohol and a lot of good memories. But there is no need to look like you haven’t slept in a week as you walk down the isle. SkinScience’s SOS fix? >>> Patchology EYE REVIVE FLASHPATCH® 5 MINUTE HYDROGELS. This amazing hydrocolloid gel technology de-puffs eyes in a quick 5 minute treatment. If you can spare 20 minutes, you will see tightening and firming happen that will last the day. They are soothing and cooling and perk up eyes like you wouldn’t believe! 3. Keep your last minute breakouts under control. Break outs happen. They are more likely to appear in times of stress and for some people times of indulgences. Rather than panic, have a plan in place to zap breakouts as soon as you can see them. SkinSciences favourite? >>> SkinCeuticals Blemish & Age Solution. Dab this salicylic acid + lipohydroxy acid (LHA) containing solution on breakouts using a q-tip and watch the active ingredients reduce the inflammation and the breakout shrink. In moments of crisis, this product can be applied 4 times daily. 4. One week before W-day, do a mini-peel at home. You can refresh the treatment you had at the clinic with one of our clinical strength Glycolic Acid prodcuts, making sure you are your absolute glowiest. Our favourite? >>> Dermaquest Dermaclear Pads. These easy to use pre-moistened pads, are ready to go right out of the jar. Weekly use keeps skin brighter and smoother. Using one 48-72 hours before the wedding is sure to help keep that bridal glow and acne spots at bay. Keep in mind that we offer last minute emergency breakout treatments! If you experience a breakout in the 7 days before the wedding, give us a call! We will do all we can to shrink breakouts before they are in your photos for life! We have several options, with our most popular being a combination of Acne Laser and our custom blended Acne Peel Solution. This can only be performed in clinic for clients that have gone through our consultation process. If you want to know which of these will best fit your skin, give us a call! 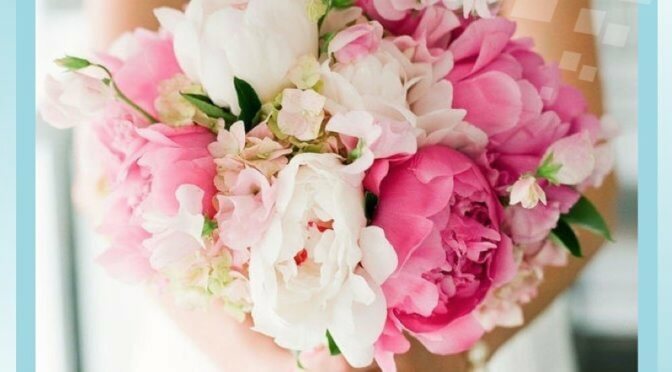 We’d love to help you get ready for your big day! Photos are a memento of your wedding day that you will have for the rest of your life. You have invested your time in carefully choosing the photographer that suits your style, someone that you hope will capture you and your wedding party at your very best, so that you can have photos that you will love to look at for a long time. Is there anything else you can do to make sure that you love your wedding photos? Of course! Invest in yourself leading up to your wedding and have skin that is photo ready. Here are our top photo ready skin tips! Dry skin is dull and tired looking. Making sure that you are properly hydrated will literally help your skin glow from the inside out, so make sure to get your 8 glasses. Dry skin also “puddles” makeup very easily, which can accentuate fine lines, wrinkles and pores. Make sure you are using the correct moisturizer for your skin type, and that you have a hydration booster (like one of our favourite hyaluronic acid serums below) on hand just in case. An at home treatment is an easy, and effective way to help create photo ready skin. We offer many masque options to choose from for use at home. Many of these have peak positive effects for 24-48 hours, so are perfect for the days leading up to the wedding! We have masques for every skin issue you can think of – hydrating masques, brightening masques, clearing masques just to name a few. We are also the first in Calgary to carry the specialty eye and lip masques (below) to make sure you have no under eye bags and smooth, full kissable lips. Come in today to let us help you be photo ready for your wedding! You won’t regret the investment in yourself! Start Now for a Glowing Complexion on Your Wedding Day! Your big day is coming up this summer, you know you want your pictures to be perfect, after all you are going to have them for a long time. Your dress has been carefully chosen, the rings are all set, now is the time to focus on you! Your goal of a smooth, glowing complexion on your wedding day is one that can be achieved! You can have skin that looks amazing as it is, no heavy, cakey makeup required. 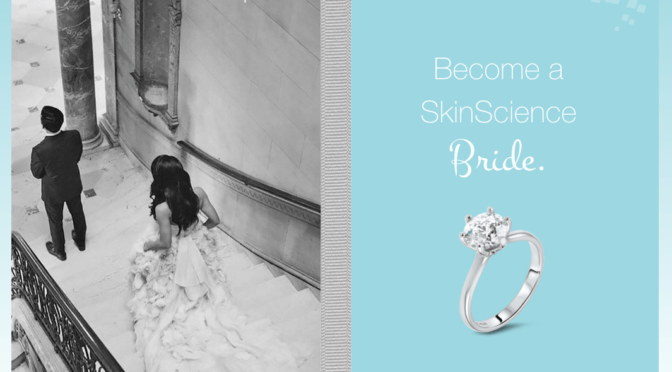 At SkinScience, we have had the opportunity of being part of so many bridal complexions. We love creating that “dream complexion” that is so incredibly bridal. Our number one piece of advice for brides? Start now! The sooner you start, the more options we have for creating your perfect, glowing, bridal complexion. Over the years, we have had it happen where a bride wants to come in, but gets caught up all the planning that happens for a wedding, and she comes in rushed, just a few short weeks before the wedding. We can always do a last-minute treatment that will help, but having a little more time means we can achieve so much more than we can in those rushed last minute visits. Consultation; where we determine what you want to see. Do you want smaller pores, smoother more even skin, brown spots gone, acne gone, all of the above? At this time we will set you up with a few new products if needed. A few weeks after your consultation we will perform your initial treatment. We perform your follow up treatment, tweak your skin care if needed, create a treatment plan for the weeks preceding the wedding and make “Emergency Skin Care Plan” so we are ready for any potential stress breakouts that may occur (we are just being real, we know how stressful wedding planning can be). 1-2 weeks before the wedding we perform your final treatment before the wedding. How close to your big day we plan your treatment will depend on several variables. What specific treatment you are doing, how you have responded to previous treatments, are you traveling to get to your wedding location etc etc. Lastly, at this point we make sure that your “emergency skin care treatment plan” is in place! August Brides have the opportunity to fit in one more treatment, which in many cases can really help carry through amazing results! If there are more challenging concerns such as acne or melasma, more time will help ensure better results. Don’t wait! 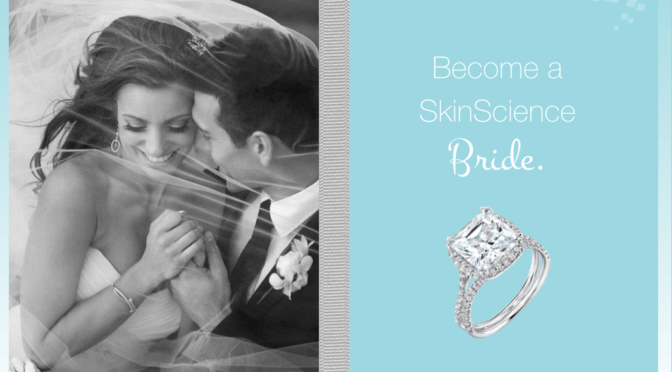 Call today to book your Bridal Skin Care Consultation! Be the bride with skin so lovely she needs #nofilter. Getting Married Soon? Book Your Bridal Skin Consultation with our Experts! Every bride wants to look and feel their best on their wedding day. While you are busy planning the big ticket items – the venue, the food, the flowers, the dress – we can help you achieve flawless wedding skin, with some pampering along the way! At SkinScience Clinic, we have a range of treatments to suit every bride, mother of the bride, bridesmaid or groom, no matter what your timeline and budget. All our bridal treatment plans start with a consultation with one of our skin care experts, to discuss your skin concerns, and how you picture it looking and feeling for your Big Day. From there, we will devise a customized treatment plan that suits your needs. Remembering on your wedding day, it’s not just about your face! We have treatments that can improve the skin on your chest, neck, décolletage, tummy and backs of your hands. Book a consultation and get your bridal treatment plan underway. “Our treatments make a difference to how women feel about themselves every single second, of every minute, of every day. We love working with brides to make this happen for their wedding and beyond”. Best Scientific Skin Care Clinic in Calgary ~ Laser, Peels, Dermaplaning, Hair Removal, Fractora, Botox, Dysport, Juvederm, Emervel. Marie Bertrand on Become a VIP Member at SkinScience! mikkitallerico on Become a VIP Member at SkinScience!